Bart Wirtz (flute, soprano saxophone, alto saxophone); Cyrille Oswald, Nils van Haften (flute, tenor saxophone); Jasper van Damme (alto clarinet, alto saxophone); David Kweksilber (bass clarinet, baritone saxophone); Angelo Verploegen, Jan van Duikeren, Jo Hermans, Rob van de Wouw (trumpet, bugel); Frans Cornelissen, Louk Boudesteijn, Pablo Martinez (trombone); Bart van Gorp (bass trombone); Anton Eger (drums). 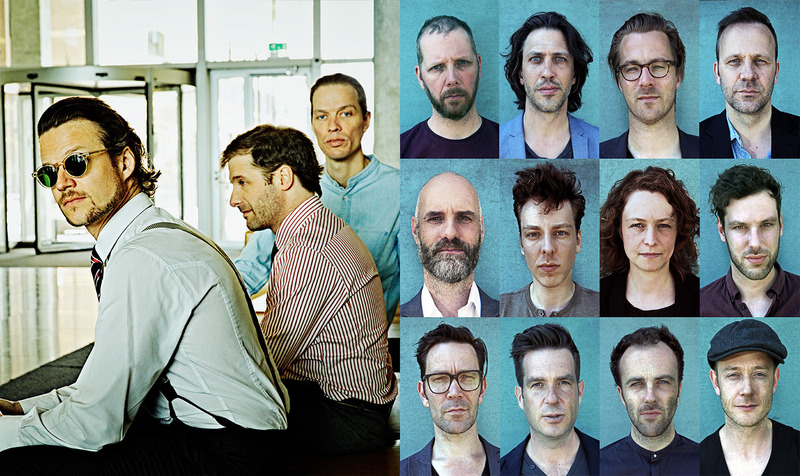 Europe may have been rocked by the result of Brexit but Phronesis is a fine example of continental unity: Jasper Høiby, a Danish double bass player; Ivo Neame, a British pianist; and Anton Eger, a Swedish drummer. Together they make up a band that plays progressive acoustic music that, despite its complexity, sounds clear and simple. They are based in London where they were formed over ten years ago having met through the Loop Collective, a platform for like-minded young jazz musicians. For their third appearance at North Sea Jazz, they are expanding their international coalition by playing their newest album The Behemoth with the New Rotterdam Jazz Orchestra Extended (NRJO), an equally unique group of talents. This 12-piece ensemble has also been extended for the occasion. The group has evolved from a big band into a flexible jazz orchestra that composes its own music. In short, this show is a match made in heaven.